This soft and foamy mousse cleanser gently removes impurities from the skin. 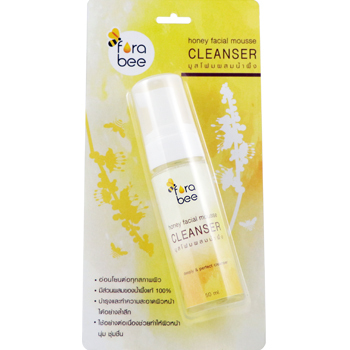 Enriched with honey and vitamin B5, it helps soften the skin and maintains hydration after use, leaving the skin feeling pure and fresh. Suitable for all skin types. Direction : Apply the foam onto your balm and massage over the face with circular movements. Rinse thoroughly with lukewarm water.